Runners-Up: Alias|Wavefront's powerful Maya for Mac OS X 3.5 (3.5 mice. , January 2002, $7,500; 800/447-2542, http://www.aliaswavefront.com) has finally come to the Mac, providing spline 3-D modeling, general and character animation, particle and dynamics tools, and professional-quality rendering. Maxon's Cinema 4D XL 7.1 ($1,695; 877/226-4628, http://www.maxon.net) improves on an already strong product with multipass and 16-bit rendering, radiosity, adaptive antialiasing, polygon reduction, new lighting modes, Shockwave 3D export, and support for Mac OS X. Winner: It's easy to say that more is better, but when it comes to digital imaging, a two-megapixel digital camera fits most people's needs and budgets. Canon shines in this category with its PowerShot S110 Digital Elph (4.0 mice. , November 2001, $499; 800/652-2666, http://www.powershot.com), a masterpiece of compact design, simple interface, and picture quality. If you want something to replace your basic film camera, the Digital Elph is the one to buy. Runners-Up: Nikon's Coolpix 995 ($899; 800/645-6687, http://www.nikonusa.com) is the culmination of Nikon's successful Coolpix 900 line. With 3.1 megapixels, a powerful pop-up flash, and a sharp, 4X zoom lens, you'll be making beautiful pictures. Canon's four-megapixel PowerShot G2 ($999; 800/652-2666, http://www.powershot.com) gives you the most pixels of any camera under $1,000, and of course more pixels means more detail. Winner: Pitsco Lego Dacta's amazing RoboLab 2.5 ($230; 800/362-4308, http://www.pldschool.com) brings computer-controlled robots built from Lego bricks to the Mac. Now, with the latest update to the companion software, newer Macs can join the fun--RoboLab 2.5 supports USB (as well as many programming features not available on Windows). Runners-Up: No children's art software comes close to matching Broderbund's Kid Pix Deluxe 3.0 (4.5 mice. , November 2001, $25; 800/395-0277, http://www.kidpix.com). The latest version builds on its success by adding new drawing tools, appealing sound capabilities, and thousands of moveable and animated stickers. World Book 2002 Mac OS X ((4.0 mice. , December 2001 $65; 800/967-5325, http://www.worldbook.com), from World Book, wowed the crowd at its Macworld Expo debut in July 2001--and for good reason. The encyclopedia CD-ROM incorporates Mac OS X's Aqua interface and takes advantage of the new operating system's multimedia capabilities. Winner: Many Mac users didn't feel they had good reason to upgrade to OS X until Microsoft Office v.X ($499; 800/426-9400, http://www.microsoft.com/mac/) arrived. Besides its excellent integration into OS X, the popular and ubiquitous Office suite includes a significant upgrade to the year-old Entourage personal information management application as well as other improvements, such as noncontiguous text selection in Word. Runners-Up: For businesses that operate in a cross-platform world, the operating system emulator Connectix Virtual PC 4 (4.5 mice. , May 2001, $199 for Windows 98 or ME, $249 for Windows 2000; 800/950-5880, http://www.connectix.com) is an indispensable tool. This version features dramatically improved performance. You also can run multiple operating systems simultaneously, including Windows 95, 98, ME, NT, and 2000, and Red Hat Linux. The innovative mimio 1.5 (4.0 mice. , March 2001, $599; 877/696-4646, http://www.mimio.com), from Virtual Ink, blew us away last year by hooking up our Macs to conference-room whiteboards. Mimio's supporting software now adds QuickTime and iMovie export, bringing life to all that impassioned brainstorming in boardrooms and classrooms. Winner: If you rely on the Mac to manage your business, you've had slim software pickings since Intuit stopped developing QuickBooks for the Mac. MYOB AccountEdge 2.0 (4.5 mice. , March 2001, $249; 800/851-1315, http://www.myob.com) offers more than just a credible replacement--it's a big step up in accounting software, and it embraces Mac OS X. This version offers a streamlined interface and an enhanced contact-management feature, as well as a faster setup process and online banking capabilities. Runners-Up: FileMaker was one of the first big companies to release a Mac OS X-native version of a major Mac application, but don't dismiss FileMaker Pro 5.5 (4.0 mice. , October 2001, $249; 800/325-2747, http://www.filemaker.com) as just an Aquafied rehash. FileMaker moved to OS X without missing a step, adding record-level security and taking advantage of the operating system's multitasking features and graphics engine. Likewise, it would be easy for Intuit's Quicken 2002 Deluxe (4.0 mice. , December 2001, $60; 800/952-2558, http://www.quicken.com) to get by on reputation alone. But the latest Mac OS X-native edition narrows the gap with the Windows version by adding one-step update and automatic checkbook-reconciliation features. Winner: The year's best PDA was the Palm m505 (4.0 mice. , September 2001, $449; 800/881-7256, http://www.palm.com), hands down. With a USB connection, a high-resolution color screen, and a new version of the operating system, this PDA is out to win the hearts of Mac users. What's more, the SD expansion slot and Universal Connector will allow Palm-heads to add a slew of additional hardware products to their handhelds. Runners-Up: Who says Visors have gone out of style? Handspring's Visor Edge (3.5 mice. , November 2001, $299, 888/565-9393, http://www.handspring.com) was by far the sleekest PDA to hit the street in 2001. Its metal case and low-profile design make it the perfect companion for a Titanium PowerBook G4. For Mac users who want the basics at an affordable price, the Palm m125 ($249; 800/881-7256, http://www.palm.com), from Palm, can't be beat. It features the same expansion capabilities as the m505, but has the same design and faceplates as the entry-level Palm m100. Winner: QuicKeys has helped Mac users work quickly and easily for more than a decade. And last year CE Software released QuicKeys X ($60; 800/523-7638, http://www.cesoft.com), a Cocoa-based application that lets users automate repetitive tasks in Mac OS X. The utility is now easier to learn, less expensive, and adds a nifty new script editor to boot. Runners-Up: The extremely useful FileGuard 4.0 ($60; 305/868-7920, http://www.intego.com), from Intego, lets you password-protect and encrypt anything from local files to folders to entire hard drives. Aladdin Systems' StuffIt Deluxe 6.5 ($80; 800/732-8881, http://www.aladdinsys.com), for Mac OS X, includes the well-loved Magic Menu in the Finder menu bar and installs Palm OS files for you. Some Mac users just wouldn't convert to OS X unless they had a way to compress and attach a file to an e-mail message with one drag and drop. Winner: A standout this year was Brian Hill's shareware utility, BrickHouse 1.1b6 ($25; http://personalpages.tds.net/~brian_hill/brickhouse.html). It allows you to access the BSD firewall built into Mac OS X through an easy-to-use graphical interface. You can set and activate your firewall's filters without digging into the command line. It runs on all versions of Mac OS X, and has numerous advanced filtering options, all of which are accessible through the GUI. Runners-Up: Sometimes, the best things in life are free, such as Unsupported UtilityX 2.0 (free; http://eshop.macsales.com/OSXCenter/framework.cfm?page=UnsupportedUtilityX.html), a utility built by Ryan Rempel. It helps you install and boot Mac OS X, Mac OS X Server, and Darwin on unsupported systems. Drive 10 ($70; 800/ 829-6227, http://www.micromat.com), from Micromat, is an OS X disk utility for repairing drives, recovering data, and performing automatic backups of volume structure data. You get all this and a pretty Aqua interface too. Welcome to our annual review of the products that help Mac users work and play--the Editors' Choice Awards. 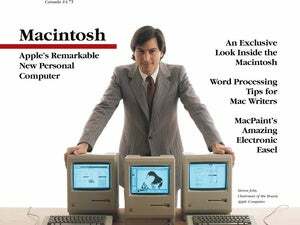 Macworld 's editors surveyed every Mac product released between November 1, 2000, and November 1, 2001, to determine our nominees and winners in each category. We recognize these products not only for their overall quality but also for their creators' willingness to lead us in new directions. This year the new direction was toward Mac OS X. The Mac community put out heroic efforts to make it through the tricky transition to the new Unix-based OS. And they did so during a time when the technology stocks crashed, dot-coms failed, and fear about the economy and world politics put most companies into maintenance mode. We will remember 2001 as the year Mac OS X finally shipped and the people who make our software started the hard work of rewriting applications. As the curtain opens, we commend our nominees and toast the brighter year to come. To see our awards for Products of the Year, click here. , June 2001, $292; 888/748-5967, http://www.pixologic.com ) debuted last year, Mac artists suddenly saw 2-D drawing jump off the screen. Unlike traditional painting programs, which treat pixels as flat dots of color, ZBrush adds a depth attribute and lets you push and pull the pixels as you would a thick layer of oil paint. An assortment of brushes and controls let you apply complex textures and realistic lighting effects to your creation. Runners-Up: Toon Boom Technologies' ToonBoom Studio ($374; 514/ 278-8666, http://www.toonboom.com ) is a powerful Mac OS X tool for creating 2-D animations for the Internet. Animators will love its unique lip-synching feature, which analyzes sound files to match mouth movements to them. Adobe also entered the Mac OS X realm with the release of Adobe Illustrator 10 ($399; 800/833-6687, http://www.adobe.com ). This version adds object-based slicing, as well as the ability to save graphics as symbols for reuse later. , August 2001, $99; 800/833-6687, http://www.adobe.com ), is a clear success. The program conceals its formidable power with an intuitive interface and low price. Channels, CMYK Color, and advanced masking are missing, but few besides graphics professionals will find Photoshop Elements lacking. , October 2001, $200; 800/948-4843, http://www.vividdetails.com ), from Vivid Details, takes the fear out of achieving color fidelity with its Metamorphosis tool. It walks you through a series of simple choices to change an image's dynamic range, brightness, color, and saturation. Winner: Do you dream of owning a portable sound-mixing studio? It's possible with a laptop and the world's first FireWire-connected audio recording system, Mark of the Unicorn's MOTU 828 ($795; 617/576-2760, http://www.motu.com ). It provides 18 simultaneous inputs and outputs in the form of eight channels of analog, eight channels of 24-bit ADAT lightpipe, and stereo digital S/PDIF, as well as two mic pre-amps with 48-volt phantom power--all in a lightweight unit you can mount on a rack. MOTU 828 offers zero-latency monitoring and comes with AudioDesk, the Mac-only digital audio workstation (DAW) software. , May 2001, $399; +46 8 691 45 00, http://www.propellerheads.se ), from Propellerhead Sofware, has such realistic knobs and sliders that people familiar with hardware-based systems will immediately feel at home. This MIDI-based analog synthesizer includes a drum machine, sampler, and loop player. , February 2002, $119; 781/687-0700, http://www.barebones.com ), the best multipurpose development application for OS X. The advanced text editor not only lets you run Perl, Python, and Unix shell scripts from within the application--a bonus for hard-core developers--but also has improved Cascading Style Sheets features as well as new support for other Web development protocols, including PHP 4, WML versions 1.2 and 1.3, and Objective-C.
, February 2002, $249; 212/965-5388, http://www.usablenet.com ). The software permits users to test Web sites for possible usability and accessibility errors. More important, users can tweak Lift Onsite to rank problems by seriousness or to look for specific performance issues. , July 2001, $999; 800/692-7753, http://www.apple.com ) bursts with professional-level features. It supports everything from MiniDV to Beta SP and HD; it allows you a composite of up to 99 layers of video, audio, text, and graphics; and it offers sophisticated media-management tools and audio editing. Final Cut Pro 2 is no slouch when it comes to performance either: it takes advantage of dual-processor Macs and the G4's AltiVec sub-processor. Its new QuickTime architecture even supports real-time effect and transition previews with the addition of a Matrox RTMac. , May 2001, $549; 800-833-6687, http://www.adobe.com ), offers many professional features at a hobbyist price. This version supports all digital video types as well as nonsquare pixels. It also has one-step Web output, new logging features, and a powerful audio mixer. , August 2001, $2,495; 800/862-7837, http://www.newtek.com ). This version includes a new motion mixer, improved particle FX and dynamics systems, better rendering tools, numerous interface enhancements, and more powerful modeling. Best of all, LightWave takes full advantage of the Mac platform, offering support for Mac OS X, OpenGL, AltiVec, and multiple processors. , January 2002, $7,500; 800/447-2542, http://www.aliaswavefront.com ) has finally come to the Mac, providing spline 3-D modeling, general and character animation, particle and dynamics tools, and professional-quality rendering. Maxon's Cinema 4D XL 7.1 ($1,695; 877/226-4628, http://www.maxon.net ) improves on an already strong product with multipass and 16-bit rendering, radiosity, adaptive antialiasing, polygon reduction, new lighting modes, Shockwave 3D export, and support for Mac OS X.
, November 2001, $499; 800/652-2666, http://www.powershot.com ), a masterpiece of compact design, simple interface, and picture quality. If you want something to replace your basic film camera, the Digital Elph is the one to buy. Runners-Up: Nikon's Coolpix 995 ($899; 800/645-6687, http://www.nikonusa.com ) is the culmination of Nikon's successful Coolpix 900 line. With 3.1 megapixels, a powerful pop-up flash, and a sharp, 4X zoom lens, you'll be making beautiful pictures. Canon's four-megapixel PowerShot G2 ($999; 800/652-2666, http://www.powershot.com ) gives you the most pixels of any camera under $1,000, and of course more pixels means more detail. Winner: Pitsco Lego Dacta's amazing RoboLab 2.5 ($230; 800/362-4308, http://www.pldschool.com ) brings computer-controlled robots built from Lego bricks to the Mac. Now, with the latest update to the companion software, newer Macs can join the fun--RoboLab 2.5 supports USB (as well as many programming features not available on Windows). , December 2001 $65; 800/967-5325, http://www.worldbook.com ), from World Book, wowed the crowd at its Macworld Expo debut in July 2001--and for good reason. The encyclopedia CD-ROM incorporates Mac OS X's Aqua interface and takes advantage of the new operating system's multimedia capabilities. Winner: Sports games are few and far between on the Mac, so Tony Hawk's Pro Skater 2, from Aspyr Media ($45; 888/212-7797, http://www.aspyr.com ), already stands out from the crowd. But other factors--fast-moving action, sharp-looking 3-D graphics, and Mac OS X compatibility right out of the box--vault it into the rarefied air of top Mac games. Throw in multiplayer gaming, a skate-park editor, and other customizable features, and you've got a game that keeps on rolling as others fall by the wayside. , August 2001, $50; http://www.wizardworks.com/macsoft ). A favorite among online gamers, the action-strategy hybrid adds a social element missing from other games--cross-platform multiplayer capability. , September 2001, $895; 888/646-4223, http://www.nemetschek.net ) still manages to improve upon its predecessors. Chief among the enhancements are a set of drawing tools modeled on features in far more expensive products and an improved worksheet that lets you import data from Microsoft Excel and database applications. A number of smaller changes, such as new lasso and undo tools, add convenience, making VectorWorks the right choice for a broad range of drafting jobs. , July 2001, $295; 800/965-3726, http://www.wri.com ) taps the power of Mathematica--long the standard for performing numeric and symbolic calculations--and gives it a more accessible interface. This is Mathematica for the rest of us. CrystalMaker Software spent two years rewriting their molecular modeling program, CrystalMaker 5.0 ($499; +44 1869-369393, http://www.crystalmaker.com ). The result is a program that has multiple windows and views, the ability to create more atoms and bonds, and better performance in Mac OS X's Classic mode. , August 2001, $150; 512/263-1233, http://www.realbasic.com ) is not only the easiest way to start programming a Mac application but also the smartest way to conquer cross-platform development. Programmers can create their applications once and compile them for Mac OS 9, OS X, and Windows XP using the same code and layout. This version adds Microsoft Office v.X tools for automatically creating and modifying documents and components. Winner: Nvidia's GeForce3 ($499; 408/486-2000, http://www.nvidia.com ) is one of today's most advanced graphics processors--and it came to the Mac first. With 57 million transistors in its graphics-processing unit, it's more complex than the G4 processors that drive today's Macs. It even includes a feature called the nfiniteFX engine that allows game developers to add custom real-time effects to their titles. Hard-core gamers and 3-D professionals shouldn't pass this one up. Runners-Up: The old saying that two heads are better than one is also true when it comes to dual processors. Sonnet Technologies' Encore/ST G4 Duet ($700; 949/587-3500, http://www.sonnettech.com ) processor upgrade puts two processors into AGP Macs. Acard's AEC-6880M/ATA-133 RAID ($179; +886 (2) 8512 2290, http://www.acard.com ) will make your Mac fast. It's the first RAID card to support the new 133MB/sec ATA. It's also easy to use--you don't need any extra software to run a RAID 0 array. Winner: Flat-panel displays have long tempted Mac users with their small footprint and slim profiles, but this year prices also fell across the board. Finally a mid-size LCD is an attractive alternative to a standard CRT monitor. The 17.4-inch Formac gallery 1740 ($899; 877/436-7622, http://www.formac.com ), from Formac, offers a native resolution of 1,280 by 1,024 pixels, bright picture, sharp image detail, and a large viewing area at a great price. Runners-Up: The electron22blue III ($999; 503/844-4500, http://www.lacie.com ) CRT monitor, from LaCie, offers excellent value to the color professional. The flat aperture grille monitor features a large 20-inch viewing area, a standard hood, and a maximum resolution of 2,048 by 1,536 pixels. ViewSonic's handy gadget, the VB50HRTV ($130; 800/888-8583, http://www.viewsonic.com ), can turn any VGA monitor into a TV. Use the included remote to switch from computer display to VCR, DVD, cable, or broadcast television. Winner: Many Mac users didn't feel they had good reason to upgrade to OS X until Microsoft Office v.X ($499; 800/426-9400, http://www.microsoft.com/mac/ ) arrived. Besides its excellent integration into OS X, the popular and ubiquitous Office suite includes a significant upgrade to the year-old Entourage personal information management application as well as other improvements, such as noncontiguous text selection in Word. , March 2001, $599; 877/696-4646, http://www.mimio.com ), from Virtual Ink, blew us away last year by hooking up our Macs to conference-room whiteboards. Mimio's supporting software now adds QuickTime and iMovie export, bringing life to all that impassioned brainstorming in boardrooms and classrooms. , March 2001, $249; 800/851-1315, http://www.myob.com ) offers more than just a credible replacement--it's a big step up in accounting software, and it embraces Mac OS X. This version offers a streamlined interface and an enhanced contact-management feature, as well as a faster setup process and online banking capabilities. , December 2001, $60; 800/952-2558, http://www.quicken.com ) to get by on reputation alone. But the latest Mac OS X-native edition narrows the gap with the Windows version by adding one-step update and automatic checkbook-reconciliation features. , September 2001, $449; 800/881-7256, http://www.palm.com ), hands down. With a USB connection, a high-resolution color screen, and a new version of the operating system, this PDA is out to win the hearts of Mac users. What's more, the SD expansion slot and Universal Connector will allow Palm-heads to add a slew of additional hardware products to their handhelds. , November 2001, $299, 888/565-9393, http://www.handspring.com ) was by far the sleekest PDA to hit the street in 2001. Its metal case and low-profile design make it the perfect companion for a Titanium PowerBook G4. For Mac users who want the basics at an affordable price, the Palm m125 ($249; 800/881-7256, http://www.palm.com ), from Palm, can't be beat. It features the same expansion capabilities as the m505, but has the same design and faceplates as the entry-level Palm m100. Winner: QuicKeys has helped Mac users work quickly and easily for more than a decade. And last year CE Software released QuicKeys X ($60; 800/523-7638, http://www.cesoft.com ), a Cocoa-based application that lets users automate repetitive tasks in Mac OS X. The utility is now easier to learn, less expensive, and adds a nifty new script editor to boot. Runners-Up: The extremely useful FileGuard 4.0 ($60; 305/868-7920, http://www.intego.com ), from Intego, lets you password-protect and encrypt anything from local files to folders to entire hard drives. Aladdin Systems' StuffIt Deluxe 6.5 ($80; 800/732-8881, http://www.aladdinsys.com ), for Mac OS X, includes the well-loved Magic Menu in the Finder menu bar and installs Palm OS files for you. Some Mac users just wouldn't convert to OS X unless they had a way to compress and attach a file to an e-mail message with one drag and drop. Winner: A standout this year was Brian Hill's shareware utility, BrickHouse 1.1b6 ($25; http://personalpages.tds.net/~brian_hill/brickhouse.html ). It allows you to access the BSD firewall built into Mac OS X through an easy-to-use graphical interface. You can set and activate your firewall's filters without digging into the command line. It runs on all versions of Mac OS X, and has numerous advanced filtering options, all of which are accessible through the GUI. Runners-Up: Sometimes, the best things in life are free, such as Unsupported UtilityX 2.0 (free; http://eshop.macsales.com/OSXCenter/framework.cfm?page=UnsupportedUtilityX.html ), a utility built by Ryan Rempel. It helps you install and boot Mac OS X, Mac OS X Server, and Darwin on unsupported systems. Drive 10 ($70; 800/ 829-6227, http://www.micromat.com ), from Micromat, is an OS X disk utility for repairing drives, recovering data, and performing automatic backups of volume structure data. You get all this and a pretty Aqua interface too. Winner: Epson's Stylus C80 ($149; 800/873-7766, http://www.epson.com ) is a radical departure for the company that brought the terms photo-quality and ink-jet together. With individual ink tanks, long-lasting, durable pigment inks, and the best speed of any printer in its class, the Stylus C80 finally puts to rest the idea that Epson printers are best suited for graphics and don't do well on plain paper. In fact, it's the best all-around ink-jet printer we've seen in years. , August 2001, $749; 800/276-7746, http://www.brother.com ), is a speedy black-and-white laser printer that works equally well at home or in the office. Its resolution-enhancing technology produces the beautiful text of a higher dpi printer. Winner: While everyone looked for the killer app, Pioneer developed the killer drive. The DVR-A03 ($649; 800/421-1404, http://www.pioneerelectronics.com ) is the first drive under $1,000 to write to DVD-R media, giving everyone the tool to create discs that will play in standard set-top DVD players. The drive also writes CD-R, CD-RW and DVD-RW media, making it an excellent archiving and backup drive. , February 2001, $999; 303/402-9262, http://www.ecrix.com ) is the most reliable desktop tape drive ever. When the FireWire version of the drive shipped this year, we found the perfect drive for backing up 33GB of data. , January 2002, $1,899; 800/922-9348, http://www.wacom.com ) is special. Wacom not only updated its pen to support 512 different levels of pressure sensitivity but also cut the price in half compared to their previous products. The Cintiq's clear picture and slim design look every bit as beautiful sitting on your desk as the digital images it helps you create. The flat-panel LCD tablet features 16.7 million colors, a resolution of 1,024 by 768 pixels, and a full 15-inch diagonal viewing area. It can lie flat or pivot between 18 and 72 degrees. Runners-Up: Two major trends emerged in input devices last year: wireless and optical. Logitech's Cordless MouseMan Optical ($70; 800/231-7717, http://www.logitech.com ) was the first to combine the two, and did so in a smart design with advanced battery saving features. Another contender, Kensington Technology's Turbo Mouse Pro Wireless ($130; 800/235-6708, http://www.kensington.com ) gave users a wireless device with 11 different buttons and the industry's best software for programming them. Lab Director Kristina DeNike managed this year's awards.